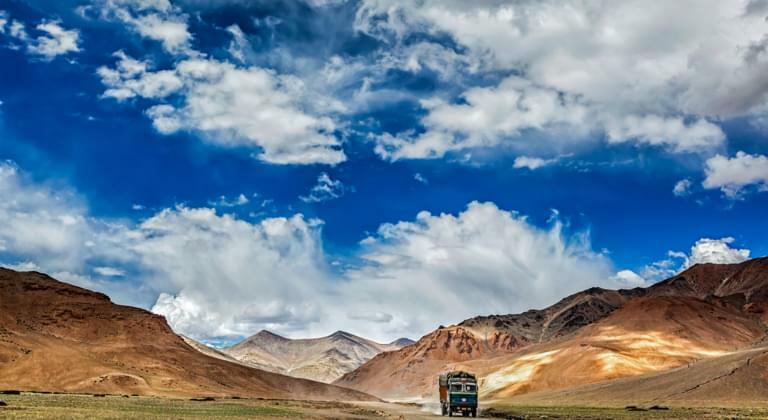 Embark on a road trip through colorful India by rental car. The fascinating country in South Asia convinces with a diverse and breathtaking landscape, which you can explore best by rental car. Look forward to a lot of hustle and bustle in the mega cities of Calcutta, Mumbai and New Delhi and feast on India's varied cuisine. Drive to the countless sights of India by rental car and be impressed by temples, monuments and other highlights. If you would like to be active in sports in India, then set off on a hike to the Himalayas. No matter how you imagine your perfect trip to India, with a rental car you will be well equipped in any case. Look forward to an unforgettable adventure by rental car through India! Car rental India: Where can I get my rental car? In India you can pick up your rental car either at one of the airports or directly in the cities. Simply book your desired vehicle in advance on Driveboo.com. This way you only have to pick it up after your arrival at the desired car rental. Good planning is half the battle. The most comfortable way to travel in India is by rental car. In this way you will always be flexible and able to arrange your trip individually. If you are planning a hike in the Himalayas and have a lot of equipment with you, then take an SUV, where you will find enough space for your luggage. If you want to drive through the lively cities, you should consider a small car. Or are you planning to travel around India with your whole family? Then rent a minivan. No matter which model you choose - on Driveboo.com you will find the right rental car at the best price! With a fully comprehensive insurance without excess you will travel stress-free even in the event of damage! Road traffic India: What do I have to look out for with my rental car? You should definitely avoid the mega cities with your rental car. Otherwise you will spend a lot of time in traffic jams. In India there is left-hand traffic. Be particularly vigilant and careful at night. At this time there are many drunk drivers. Be prepared for disturbances from wedding celebrations and religious processions on the streets. Use the horn if you want to overtake a truck or bus. What are the biggest cities in India? To get an overview of the largest cities in India and the distance to the capital New Delhi, you can take a look at the table below. Have you already booked the right hotel for India? An unforgettable journey through India includes not only a rental car but also the right accommodation. On HolidayCheck you can compare the offers of the hotels and book the suitable accommodation at the best price for your trip to India. For further information have a look at HolidayCheck.